It’s right after the New Year, and just before WPPI, so we have another filler episode where it’s just Rachel and I, and no guest. 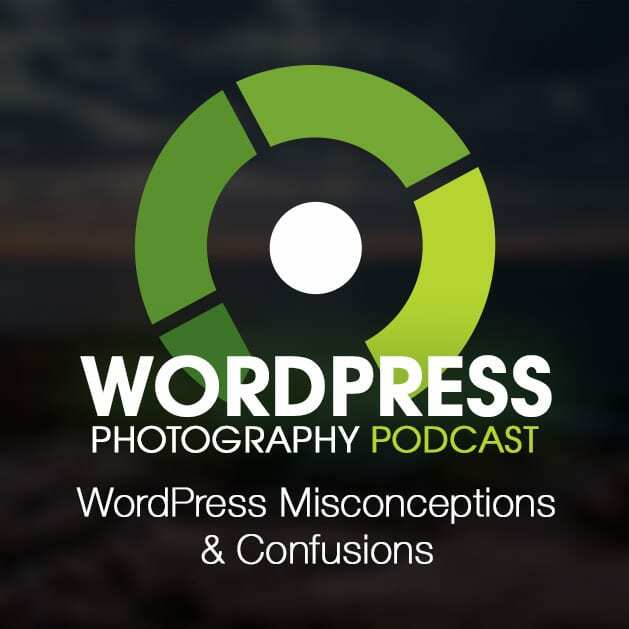 But we have a fantastic topic today and one that we are so happy to talk about… WordPress Misconceptions & Confusions. WordPress 4.7.2 is now available. This is a security release with three security fixes. Scott: Welcome to episode 33. My name is Scott Wyden Kivowitz, and I'm joined by my cohost, Rachel Conley from Fotoskribe. Hey, Rachel! Rachel: Hey, Scott. It sounds like you have a cold! Scott: Oh, boy. Yes, my two years old was sick this past week, and then I caught her scratchy throat, at least I didn't get the rest of it. She was a mess. Rachel: Yeah. I have a five-year-old, and we have been sick the past six out of eight weeks, and I'm sure it anyone who is a parent and listening, can totally understand. Scott: Yeah, and it rotates. It goes from one to another, to another and sometimes doubles up. Rachel: Yeah, it's good times. Well, I'm better, you're sick, but we have a really exciting topic today. Scott: Today we're going to talk about, like you just said, a really fantastic fun topic. It's actually a topic about confusion. I'm really hoping that we challenge ourselves to simplify all of this confusion. We're going to be talking about WordPress and not really just settings in particular, but just the perception of WordPress of why photographers think it's so difficult, so confusing, so overwhelming. When really in, at the end of the day, it's really not. It's just confusing, because there's so many misleading things out there. That's the topic for today. 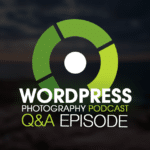 The topic is misleading and confusions for WordPress, for photographers. Rachel: It's just Scott and me, because we actually had some confusion, because it's after New Years and just before WPPI. A lot of the people that we talk to are industry leaders and very busy this time of year. We figured we'd roll with the confusion theme because we hear questions like this all the time. Scott: Oh, yeah. Before we dive into the actual topic, let's briefly touch on some WordPress photography related news. By the way, if I stop talking, Rachel's going to be picking up where I left up because if I wind up having to cough, I'm going to mute and stuff like that. Rachel: Yeah, we won't blow out your ears, and we should say that I was sick last time, but you interviewed Corey Potter, and it was a great episode about SEO. Check that one out too. Scott: Yeah, that was a great episode. The first bit of news is Improve Photography did a really, really in-depth fantastic article on the best options for websites and tools for websites for photographers and they talk about everything from Pixieset to SmugMug to pretty much everything. What's really great is WordPress, and specifically, Imagely was ranked, or I shouldn't say ranked, was recommended for most photographers. Then, there's other recommendations for people who either can't afford that or need something else. It's a really great article we'll link to in the show notes. Improve Photography's a great website and great, they have their own podcasts and whatnot and so, definitely check that out. Rachel: Awesome. Some of the things that we're going to talk about in this they reference on that too. It might be a good resource to follow up if you have some questions after things that we talked about. It's a good resource. Rachel: The next built of news, the built-in page builder, being created for WordPress Core will be called Content Blocks. Scott: At least tentatively, that's what they're going by as they, as the community is talking about the feature, it's being called Content Blocks. It's pretty interesting. The mock-up so far, very, very raw, they're very basic, but the whole premise is you're going to be able to click inside the editor when you create a new block and basically, choose what content you want there, whether it's a video or a photo or just a regular editor or, hopefully, they'll be able to allow other plug-ins to integrate. So that, for example, NextGEN Gallery could be put into a Content Block or something like that. It's going to be neat. It's going to be definitely the WordPress way to do a page builder. Rachel: I love that they're really moving toward Squarespace, regarding the feedback of the Squarespace versus WordPress conversation is always, WordPress is easier to use, easier to design. These changes, which are big and little in some ways, are moving WordPress towards that for every person to be able to use it. Scott: Yeah, really great stuff. The last is, actually oddly enough the same announcement that I think we made news wise and the last one is, now there's another security update for WordPress. So, 4.7.1, which was the last one, was a security update with I think, eight or nine security fixes. WordPress 4.7.2, which is not out, has three more security fixes. Do your backups and then update. This is an important one, because it's a security release. It shouldn't break anything. In fact, I think, security releases are usually automatically pushed. If you didn't automatically get the update, you should do it yourself. Rachel: Who do Jetpack. It's their corporate version of WordPress. They can control it. It's within a company culture. It's just like going to Squarespace in a lot of ways. WordPress.org is the software itself; it's free. You can install it on any host. You can install any version. Although, obviously, we always recommend the latest version. WordPress.org is where you can download the software, themes, and plug-ins for free. You can then take that software and install it on your host. You have to take that software and install it on your host, or you use a host, which offers the One-Click installs or better yet, turn the key like Imagely. The advantage of this self-hosted version of WordPress is the lack of limitation. You can install any theme, any plug-in, and you can customize to your hearts desire. Now, obviously, that is the advantage, but it's also a disadvantage to people who feel really overwhelmed by it. WordPress.com is a great place to start blogging. We've talked a lot about Squarespace is a great place to start blogging or even to start hosting a website. The problem is Squarespace doesn't migrate to wordpress.org really easily. Where wordpress.com migrates to wordpress.org really, really easily, because, obviously, at its core it's the same thing. If you're a new photographer. You're listening to this, and you're saying. I just need to start. WordPress.com may be a great place to start, but again, you're not going to get the perfect theme, the most customizable theme. Squarespace will give you more of that theme customization, design customization. They don't call it themes at Squarespace, but when you're ready to go to the wordpress.org, the migration is harder. [inaudible 00:07:49]. Scott: Yeah, it's really difficult. Rachel: Yeah, although I think Imagely is working, I know you've worked with a couple of photographers now to really streamline the process, but there is no easy way. Scott: Still. No. I found ways to make it easier, but it is still a lot of manual labor to get it migrated, even with the help of plug-ins and whatnot to do it. Rachel: And that equates to money. That equates to you needing to find, you meaning a photographer moving from Squarespace to wordpress.org, needing to find someone to help you with that, get you through the technical and then pay them an hourly rate or whatever. If you're on Imagely service it's, this is where the trade-off is again. When we are talking about WordPress, we are 99.9% of the time talking about wordpress.org. Everything we talk about in the podcast in terms of plug-ins, in terms of things to optimize, we are talking about wordpress.org being the self-installed on your hosting plan, that you can modify to your hearts desire. That's the first line of confusion that we hear. Rachel: Yeah, has different theme options that you can change. Scott: Yeah, theme options, so the Customizer is something that's actually part of WordPress. It's a feature of WordPress, that is to change your theme to change colors, to edit widgets and menus, and do all this great customization things while looking at the front end of your website. It's a feature of WordPress and it's there all the time, but not all themes utilize it. What happens sometimes, is some themes have what's called an Theme Options Panel and the Customizer still shows. So, somebody goes to the theme options panel, then they accidentally find the Customizer and they're like, "Okay, what do I do? Why's it not working?" That's because they're not utilizing that feature. They're utilizing their own themes options panel. A Themed Options Panel is a custom made system, which is exclusive, exclusive to the theme they're using. It's usually used only in the back end of the site. It's not usually used on the front end, like the WordPress Customizer. Rachel: Before committing it, right? Rachel: This is the option of, if you don't have a sandbox, which is the technical term for if you have a place to play and do design changes before it goes live. The other thing is, and specific to ProPhoto, which I know a lot of photographers use, they have a Theme Options Panel, so this, the thing that we're talking about here, "appearance, customize" on a ProPhoto theme actually doesn't work the way you want it to, because ProPhoto has built out their own customizers. So, you go in and you can do things like Mastheads. You can do things like, how you want your blogs to do it and you do that all in the theme options panel within ProPhoto, which is going to look different from Divi, which is going to look different from another theme. This is also the place where these ThemeForest themes can get you into trouble, because if you download something it doesn't have any support, it doesn't have any theme documentation, you really have no one to quote-on-quote, "ask" for what the Customizer versus the Theme Options Panel, if there's even a theme options panel at all. What we recommend is, go to your theme, make sure your theme has some documentation with screenshots, so that really the hallmark of a good theme is telling you that, "Here's how to make these customizations," whether it is through the Customizer or it is through a Theme Options Panel. More likely than not now, it's going to be through the Customizer versus the Theme Options Panel. Scott: The WordPress community is trying to make that the standard, because, always coming back to the whole Squarespace thing, one of the things is, people on Squarespace are used to their Squarespace's version of the Customizer, which happens to look very similar to the WordPress Customizer. So, when they come over, they're looking for how to do that and WordPress is 27% of the internet, Squarespace is a tiny fraction, a lot of people are starting to move from Squarespace back to WordPress and they want to be able to have that consistency. The only way to have the consistency is using what is part of WordPress, which is the Customizer. Rachel: Scott wrote out this, and I want to read it because I think it's important. Scott: It's a little scenario that I made up. Rachel: It's like use case. All right, so you're a photographer with a brand new website. You picked a theme from XYZ and installed it on your site. You spent a couple days tweaking the options panel to your liking. You've added your branding, color scheme, you've dropped the sidebar some pages, from not all. Fast forward two years later, you're business has grown, evolved, and is ready for a fresh website design. You change themes to ABC, but when viewing your site you notice that all of your settings, brandings, and whatnot have been removed. You go to define the new themes options panel and notice there is none and you wonder, "How do I customize this theme?" You get a little annoyed because you know you were lied to. You're frustrated; you consider leaving WordPress for Squarespace, you hear that it's easier, prettier, etc. "How many of you can relate to that?" In reality, Squarespace is worse for your website and for your photography business and the customized panel, the thing we were just talking about, which has replaced a lot of these theme option panel, if you haven't updated your site or your theme in a couple of years, is very similar to the Squarespace one. The reason a lot of people move to Squarespace is for ease of design. WordPress understood that, they're making changes. The reason a lot of people are coming back from Squarespace is that the FCO in Squarespace, no matter what you do, isn't as good as the SEO in WordPress, regarding staying current, making sure the option are there, etc., etc. So, the reason for the confusion is because the right way to build the theme is to use the WordPress Customizer, but again, WordPress being so open, there are 1,000 ways that people have built their themes. For many reasons, the WordPress Customizer allows consistency across all themes, branding typically remains when changing themes, that's a big thing, meaning you could have theme "A" and because it was all done in a Customizer theme, "B" could go on, and you wouldn't lose your branding options. It's easy to backup settings via Customizer backup plug-in. That's an interesting stat. Does it backup in a normal backup? Scott: It's like an XML file. Like backing up Yoast SEO settings or things like that. Rachel: I didn't know that. That's good to know. You can edit settings on the front end for realtime results. That's what I was talking before, meaning you can be in the Customizer making changes, they don't automatically go live until you commit them. That's nice; you can play around a little bit. It removes confusion while changing themes on how to change settings and that's the biggest thing, the biggest reason it happens. Then using a Customs Option Panel adds additional code, which is unnecessary. This is the hardest thing, with things like Divi and ProPhoto, is because of those Custom Options Panel they are bigger themes. The change from ProPhoto 5 to ProPhoto 6, which is now responsive and we highly recommend if you're on ProPhoto 4 or 5 that you move up to ProPhoto 6, because it is responsive, but it took them a long time to create that, the functionality to get there, because of this additional code and working within WordPress and yadda, yadda. Scott: Another example of this is, I was recently asked to look at a theme of somebody. When I installed it, I noticed I was told to install a theme specific plug-in, which is fine, so I did, because it was free and I'm supposed to be looking at this for somebody. I noticed that a page specific panel appeared when that plug-in was active. Some of the features that were inside of this page panel that was created by this themes plug-in, was something as simple as changing the page template. I was wondering, "Why is this developer trying to reinvent the wheel, when WordPress has a page template system built-in. Why are they making somebody install a plug-in to do something that WordPress does by default?" That is another area where there is confusion, because somebody is misleading end users saying, "Hey, the only way that you can change your page template is by installing our theme specific plug-in." When really, it should have been coded better and that page template should have been using the WordPress page template system and that would have solved the confusion. Rachel: Even, I'm sure out there listening to this, it's a lot of words. I mean, I know I'm a visual person, so I would need screenshots to say, "Okay, that's what you're talking about versus that's what you're talking about." I think, the main takeaway as you listen to this is, if there are additional things that you need in a specific theme that isn't built-in, that aren't part ... The chances are it's already part of WordPress Core, so why are they asking you to do it? That's the first yellow flag of, "Okay, is this really the theme that I want? Is this theme going to give me the longevity that I need?" The other things is make sure the theme has support documentation, whether or not you use it, or just to go in and make sure like, "Okay, they've answered their support tickets. They have some PDFs online about how to use these things." Because you can go to ThemeForest and you can spend $49 on a theme and it absolutely doesn't work and it takes you 100 hours of trying to configure it in frustration. So, in that respect, while you only paid $49, how much is that 100 hours of your time or when you reach out to a consultant? This is the confusion that we're trying to avoid for you guys is that there are already things in WordPress that are already there that are just like Squarespace. It's the themes and the options that make it really confusing. Hopefully, we didn't confuse you more. Scott: Speaking of ThemeForest, this leads into the next point of confusion. So often photographers that buy a theme from ThemeForest, they see how pretty it is, and they're ready to use it on their photography site and they go to install it, and then they get this vanilla, blank looking drabby theme that looks like it was from the early 90s and they're wondering why is it not look like the demo did on ThemeForest. Rachel: Yeah, I struggle with this a lot. I've installed a couple, for myself personally, and they require short codes to get where you need it to be. You have download dummy data from where they are. Then, you have to modify the dummy data. You can be searching and see this beautiful theme and then when you actually go to install it, the customizations, again, the things you need to do are almost overwhelming. Like, "I have to do this." Then you read, I know I personally read through the support documentation, because I've gone through all the checklists, this is a theme that has documentation, it doesn't require a plug-in to install, but we're just saying there are a lot of things out there to just be wary of. It's not just, "Okay, I love this theme," download it, etc., etc. There are products that make this process similar. Scott: Yeah, for example, the X Theme, which is very popular among photographers and on, from ThemeForest. They've got it features where you can, literally, with a click of a button, it'll handle import and creation of your site based on one of their templates. It'll actually import the dummy content, in fact, it actually overrides your existing content if you have stuff there already. Be mindful of that. They make it easy to set up their theme the way that they show you in their demos. Rachel: I like Graph Paper Press too. It's another one that I found awhile ago. I haven't used them recently, but I mean, in a lot of these cases you're going to pay more for the theme, but you know why you're paying more for the theme, because you're saving time in the long run and you're paying for the team dynamics that they have to create these themes and make it fit in with WordPress. Go ahead. Scott: If you want to learn more about this whole concept of the things not looking the way they do or you change themes and all your content is gone, you see short codes and that kind of confusion though, as happens, Nancy Nardi, who we had on the podcast. She started a new side company called, Be Mindful of Your Domain and we'll link to this show [inaudible 00:22:56], but she just did a really, really great case study with video, well outlined on this whole issue. We'll link to this show, let's make sure you watch that if this one of those areas of confusion that you have, because she definitely talks about this a lot. Rachel: I think, Googling it too. There's a lot of conversation about it. It's hard to relate it to specifically to photographers, so Nancy's at BE.MYDO, so BE.MYDO. Highly recommend, and WordPress 4.7 has made it easier for developers to preconfigure a theme during install. Hopefully, that'll, even if a theme isn't 100%, at least you won't have to install dummy data and things like that to get where you see in the demo part of it. Scott: I haven't seen any themes taking advantage of this yet, but it is a new feature, so slowly, basically, when you're installing a theme I believe you have an option to set it up for you, and it'll set up a menu, your widgets, and I'm not sure what else, but basically, it might even actually fill in with some dummy content, like text and some placeholder images and stuff like that. Rachel: Which I know for me, because I'm not a developer and I know only enough code to be dangerous, that if something is there, like if there's menu items, I can modify them, but having to create the menu items and start from zero that's really hard and I know that a lot of photographers have the same issue too. If it's there you can change it, you can fill in your data, but if you have to even create it from scratch that's where the confusion can really lie. All of this funnels into, we've been talking about wordpress.com versus wordpress.org versus Squarespace. We've talked about theme specific, but there are confusion specifically around photographers and how we are sold. Your website is your storefront. It's a huge important part of your business, especially in today. There's some kind of confusions when companies like SmugMug and Good Gallery, although, Good Gallery's like an in-between, but they tell their customers to use WordPress as a blog, when everything that we talk about WordPress can and we really believe that it should be your entire photography site, your homepage, your contact page, your blog page, should all be under one WordPress backend panel. What that does is it helps link it for FCO. Google likes it a lot more. Yadda, yadda, yadda. I mean there's 1,000 good benefits. The other case study here is Showit, telling their customers they're building a WordPress site via Showit. It might be true; it's not a full WordPress site. Your homepage isn't necessarily WordPress, but your blog page is, it's all on the same server. It's all in the same place. That's kind of the work around. The problem is, if you ever choose to leave Showit, it's hard to understand to then go to a regular WordPress site. Part of it understands what really is WordPress, what is a hybrid and what are photography specific industries, etc., etc. Do you want to explain that better, Scott? Scott: The main issue here with, at least on the Showit side is, they have beautiful designs, right? Scott: I'm not going to deny it. Their designs are great. The sites load really fast. They do a great job. The problem is, and specifically related to misleading and confusion, is that they're giving you a WordPress blog, which as we've already said, WordPress is more than just a blog, it's a full website, but when you want to change that, you have to do it from the Showit side, not the WordPress side. So, they're teaching you, "You've got a WordPress site, but that's not how you edit it. You edit it from Showit." That's misleading. That's confusing for the photographer, because really if you're going to sell them a WordPress site, they should be logging into a WordPress site because that way they know what they're working with. Rachel: Right. If you're going to use WordPress and again, Showit is a great solution for many customers. They are beautiful. They have a great team behind them. This is just understanding and weighing all your options. Companies like SmugMug and Good Gallery, the reason we named them before is that they're, your website part, the SmugMug or the Good Gallery part is totally different from WordPress. They don't say that it's on WordPress and then they say that if you want a blog, you need to have a self-hosted WordPress blog. Right there you're already in two different places. Your WordPress in this situation is only the blog, and then you have a separate engine, whatever it may be operating your website part, your homepage, your contact, and to Google, those are two totally different websites. So it doesn't matter how much SEO your blog is generating, by blogging consistently or creating content. Your website is still in a different place. Making those connections is so much harder. You're building SEO for two sites, and you're really just doing double the work, when if you had one WordPress site all the work that you do in any area is all connected, and all goes together. We are oversimplifying it. Right? I mean there's 1,000 different variables, but this is really the crux of the confusion. 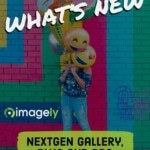 Scott: My recommendation for anyone who's using Good Gallery as their website that, try to get them to make your WordPress blog, yourdomain.com/blog. That way Google actually sees it as one site, even though technically it's two. If it's a subfolder, Google will actually see it as the same site. If it's a subdomain or if it's a separate domain, Goggle looks at it as separate sites. Rachel: That's good to know. Rachel: Again, these are all companies that we live in the space with, we have belief in. There are uses for everyone and it really is what you, but what we get questions on is, "My WordPress blog." "Okay, well stop right there. Why isn't WordPress your whole site?" "Because I have X, Y, and Z, for other tools." "Okay, well in order to use those other tools to the best of their advantage, and they all have advantages. Uh, make sure that if y-you know you really understanding the WordPress side of it. So that you can go back and ask these questions or ask us these questions." We're happy, I've seen all platforms. I've blogged on all platforms, it's just really the confusion around it that we're trying to figure out. Scott: Since so many themes and companies and plug-ins and everything does things so differently, there's no standardization, but although WordPress has standard themes and plug-ins, all these companies are not always following it. That's why confusion exists. The upside to WordPress is that you can do whatever you want. It's software; it's an application, you can literally do whatever you want. The downside is, you can do, literally, whatever you want. When you can do whatever you want as a developer, you can create your own standard, but if it doesn't follow the WordPress standard, it's going to cause this confusion using the Customizer versus using a Theme Options Panel. Rachel: Remember, we're photographers. We have unique needs that render images and image sizing. We're going to have larger images and more images than a plumber or a real estate agent or a travel agent or, I mean, there are specific themes for those applications that follow totally different standards that are industry standards. It's not only thinking about the WordPress standard, but it is also thinking about the industry standard. When you're out doing research and when you're out looking at things, I mean I think the reason Squarespace is such a big competitor in this, in our industry, in the photography industry is because it does display the images beautifully. Now, it doesn't rename them. You don't have the SEO benefits of putting the alt tags and the keywords in unless you do that manually, where WordPress has a more automated process. Again, these are the industry standards. When you're out searching, understand that WordPress has unlimited capabilities, but if you find themes and developers and companies that try to follow the WordPress Core, then they understand that WordPress is going to change and that their themes and products will grow as long as they're following the WordPress Core. Then, to find things in the WordPress space that are also built for photographers and photography and selling images and selling to clients, then you're even reducing that big pool of WordPress down even more. That's only going to help in your searches. Then, if worse comes to worse, we're always here for a resource. Rachel: But they have great tutorials, a great support forum. You can ask your friends. Rachel: Once you get the hang of it you think, "Oh my goodness! How did I ever think this was hard?" Right? Scott: If you can use Lightroom. Scott: If you can use Lightroom, if you can use Photoshop, then you can use WordPress. As more companies begin following the standards created by the WordPress community, confusion will be reduced. It's a matter of you being a user of WordPress in the community because this is open source, you've got a voice. You can shape the future of WordPress. You can make it not difficult or less difficult or less confusing. You could chime in and say, "You know, the Customizer is not as pretty as Squarespace." Well, tell the community how to improve it. Give your ideas, do some mock-ups. You know how to use Photoshop, do some mock-ups. You can make the Customizer easier because of you a part of this open source community. Rachel: That's really great, because there's always the local Meet-ups. Somebody was asking me, "Well, how," because I said the, exactly the same thing, "The great part about WordPress is like you can go in and you can contribute." "How do I do that?" Well, in Pittsburgh there's a local Meet-up, in Boston, in L.A., in Boise, Idaho. There's literally, WordPress Meet-ups in most cities across the US and even across the world now. You don't have to be a developer to go to those you can be a user and you can be a photographer and in some ways, the insight that you can offer those developers is almost invaluable, because they only think of things in their lens, which is coding and websites and web standards. 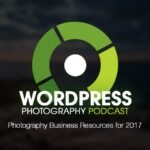 Where your lens being a photographer, being a business owner, being a entrepreneur is different, but the WordPress needs to work for you as well as work for them. Right? Rachel: That was our preaching. We won't do it again, we promise. Scott: If you've enjoyed this episode, this topic, if you've enjoyed any of the previous episodes, hopefully you've listened to, or watched some of the previous episodes, would really appreciate it if you went to iTunes, to the podcast's store or section, searched for the WordPress Photography Podcast or do a search from Imagely, it will come up that way too. Leave us a good review if you've enjoyed the podcasts. We're always open to feedback. We're always open to topic ideas and things like that. Please join us in the WordPress Photographer's Facebook group, because a lot of our topic ideas also come from the conversation there too. Rachel: We have a lot of developers in there. Again, they can answer those questions. Every tenth episode, this is 33, so it's an off episode for it just to be Scott and me, but every tenth episode, we do a Q&A where it's Scott and I answering questions that we have gathered from photographers. That's another good place to start because maybe they will have a question that you have too. Scott: In the next episode we, it will be Rachel and me again, but it'll be a very special episode, because Rachel's company Fotoskribe is now a part of ShootDotEdit. Rachel: And we just teased this before, but the announcement went out this week, we're recording it on January 28th, and it was announced on the 24th. Fotoskribe is now a ShootDotEdit company, and that has opened up huge things in, for the ability for me to help other photographers blog. Then, for outsourcing as a whole for photographers, but yes, we'll get into that, 34. Scott: Yeah, we're going to have a whole episode about this, because it's really great for the industry. With that, thank you, Rachel, for taking the reins on this one. My throat thanks you. You can find the show notes from today's episode at imagely.com/podcast/33. Until next time.